Inspector General of Police, Ibrahim Idris, yesterday directed that two AK-47 rifles and a Beretta pistol allegedly snatched from a slain police officer and others by members of the Indigenous People of Biafra (IPOB) in Nnewi, during a protest, last week, be recovered, forthwith. Force Police Public Relations Officer, ACP Jimoh Moshood, announced the IGP’s directive at the Anambra State Police Command headquarters when 33 suspected IPOB members were arrested in Nnewi, by the state command. 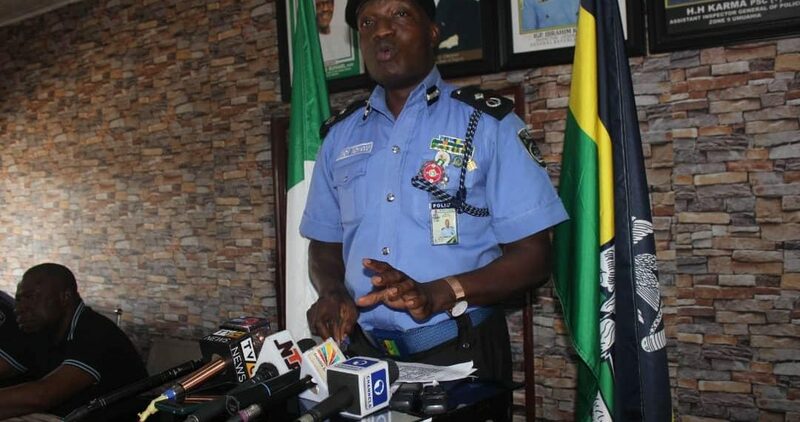 According to Moshood, the IGP directed that a thorough search be carried out to recover the missing weapons and the arrest and prosecution of fleeing members of the group. Addressing newsmen, Moshood said: “On November 23, there was intelligence report that members of IPOB, an unlawful terrorist organisation, were sighted gathering in their hundreds with dangerous weapons, near Teaching Hospital, Owerri Road, Nnewi, about to cause disturbance of public peace and public safety in Nnewi and its environs. “Consequently, police patrol teams, led by the Area Commander, Nnewi, ACP Nnanna Oji Ama, mobilised to the scene, to prevent them from causing breakdown of law and order and destruction of life and property. “The police team, while proceeding to the scene, came under ambush from the IPOB members, and, in the process, a police inspector was killed, two other police officers were seriously injured and one police patrol vehicle was set ablaze. However, as Moshood read his address to newsmen and mentioned that the suspects killed a police inspector and snatched arms, the suspect raised their voices in protest. Evangelist Sunday Ilonze, one of the suspects told newsmen that he was arrested with his servant in his shop, while they were closing their shop for the day. Meanwhile, the police spokesman has assured that a thorough investigation would be carried out and those found guilty would be charged for terrorism.